Ankle bootie season is here and we’re spotting so many pretty options that we want to drop into our closets! The trickiest part about searching for an amazing pair is finding one that can be dressed up or down and that fits comfortably so we can wear them throughout the day with ease. The Shop With Us team is currently coveting the split shaft suede booties we discovered at Nordstrom. The best part about this pick is that they are budget-friendly since they are priced under $100. The BP. 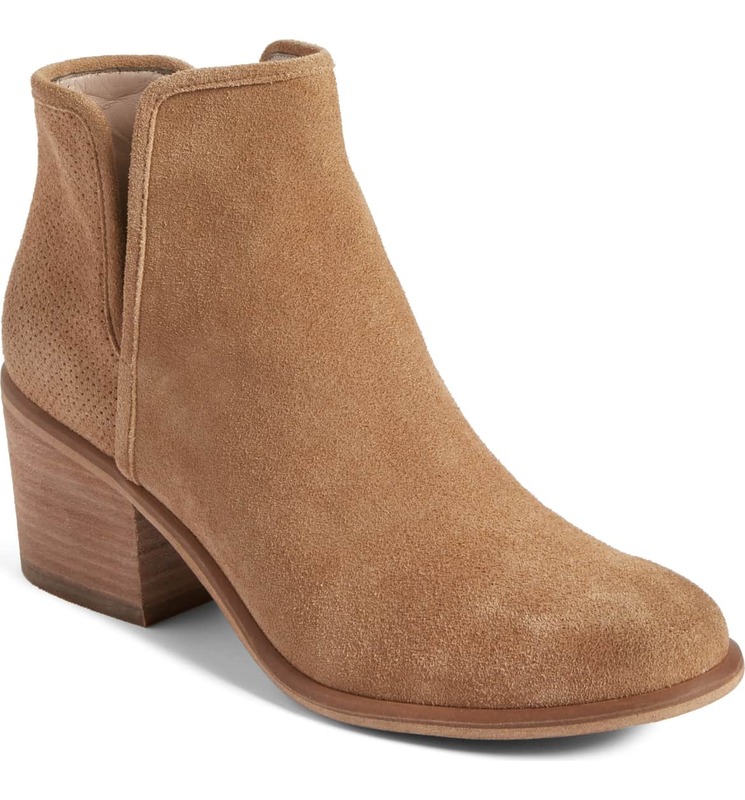 Barris Block Heel Bootie has a straightforward design with a split shaft ankle that makes it easy to slip in and out of. We love its suede upper portion and the short block heel that provides a little extra lift without the discomfort of 4″ heels. See it: Get the BP. 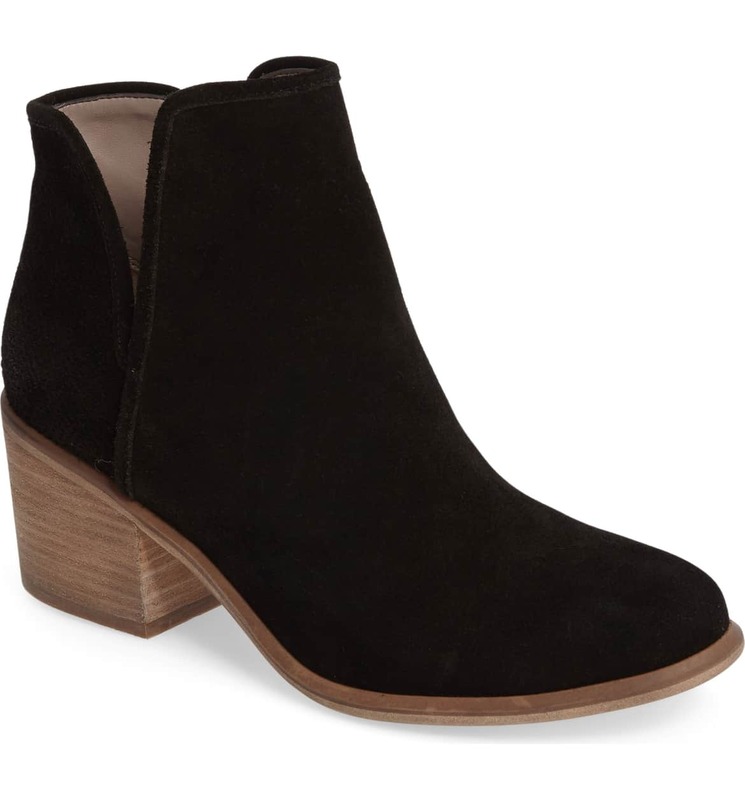 Barris Block Heel Bootie for $90 while all sizes and both colors are still available. Pinpoint perforations along the ankle give the pretty bootie an extra fun detail. They can be seen best on the taupe version of this bootie. Check it out down below. Select sizes are available ranging from 4 to 13. The booties are a great go-to shoe for fall since the suede design can be worn everywhere from the office to date nights. They will pair easily with our favorite moto leggings, skinny pants and even skirts. We’ll definitely be wearing them with skinny jeans, a long-sleeve top, our favorite teddy bear coat and a fun cross-body bag for a standout ensemble. Shoppers who purchased these shoes raved most about how comfortable they are to wear. Many also noted being able to easily mix and match them with the rest of their closet, particularly jeans and dresses. The most popular color purchased was the black version. Different shoppers had varying fit experiences, so it’s important to eye the size guide to ensure the best fit.